White interiors have been the industry’s favorite for a while now, but don’t be afraid to push color boundaries to decorate your home and consider dark colors. Darker tones have the secret power to open up a space. They will make your furniture look bigger than it really is. Dark works with a large palette of home décors, and especially numerous styles of accent chairs. Have a look here our guide that will help you pick the right accent chair for your dark interior. 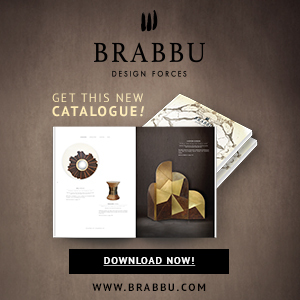 MALAY armchair by BRABBU is a graceful armchair that will fulfill your living room with energy from nature. The stunning golden yellow of its fabric contrasts amazingly well with the dark wall, rug, and floor to create a luxurious and refined atmosphere. 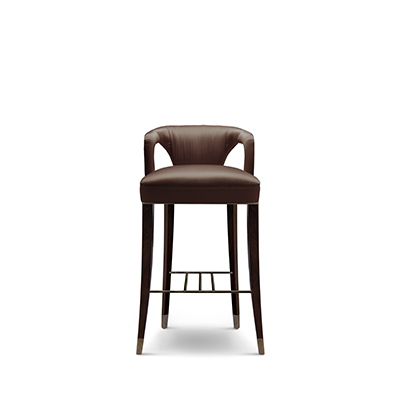 Leather is a guaranteed success when surrounded by a dark décor. Its soft and earth toned colors on a design add peacefulness and coziness to the atmosphere while keeping a sophisticated and mature look. Your accent chair can also embody the ray of light in your dark interior as well illustrated by this white design chair from Jonathan Adler. If the contrast is striking, the piece blends nonetheless perfectly with the rest of the décor to produce a very elegant interior. Black-on-black is also a possibility that you should consider. Don’t be afraid to push even further the color boundaries. 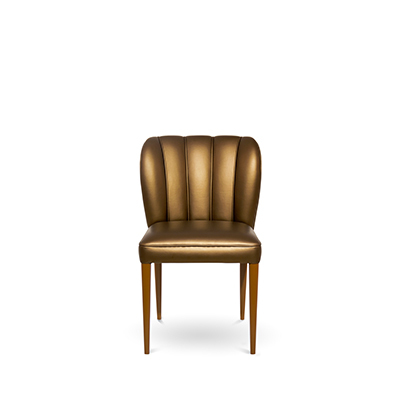 This fabulous accent chair features a disarming minimalist design while remaining extremely sophisticated. The piece is the epitome of elegance. 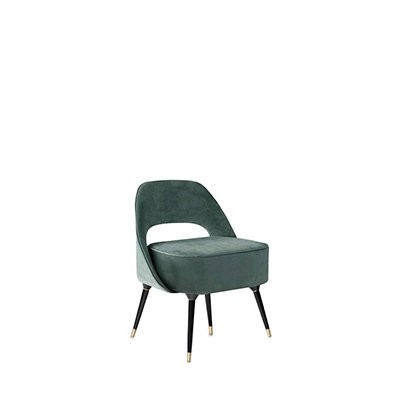 NANOOK dining chair by BRABBU is a stunning piece which blends the beauty and grandiosity of the master of bears through its robust structure covered in blue synthetic leather. The piece is a wonderful addition to a dark and modern interior. Bordeaux velvet is also a perfect match with black walls to create a glamourous and elegant style. 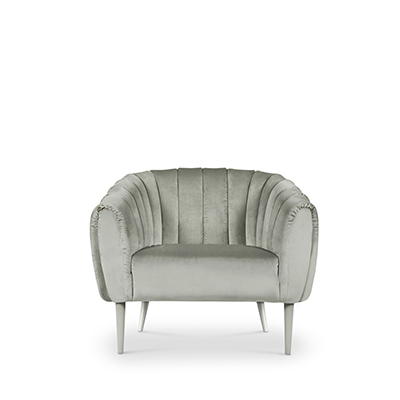 This armchair is a gorgeous addition to a contemporary and minimalist home décor. You can decorate your dark interior with an imposing accent chair occupying the center of the room to create a focal point in the space and catch the attention of your guests. The chair is judiciously paired with eclectic accessories to create a unique atmosphere.